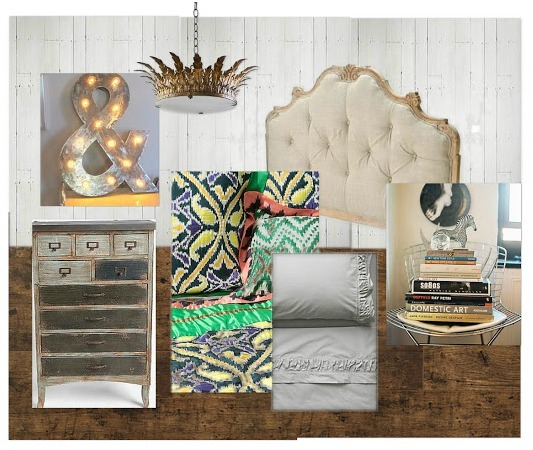 Welcome to Part Two of the Designer Challenge- headboard edition! I’m thrilled to welcome Brooke of Brooklyn Berry Designs. Although Brooke and I live in the same neck of the woods, we haven’t met in person, but I can tell we’d have a lot to talk about over coffee (on my list for the new year!). Brooke’s blog is an online journal where she shares ideas and inspiration for creating a safe, warm and welcoming place, as well as dishing out her take on books (also know as her “me” time away from the kids). I can’t wait for you to see what she came up with! (If you missed Part One, you can find out what the headboard options were and what Rita did here. 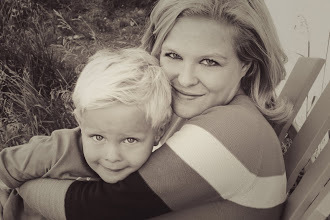 I’m Brooke, an Interior Designer and mom to 3 boys, including a set of crazy twins. I love a good challenge, whether it be a small budget or a quirky architectural feature, because it always creates a unique solution. For Shauna’s designer challenge, I decided to take a step out of my comfort zone and design a bedroom around the headboard that was beautiful, but made me nervous. I figured since this was just for fun, I could venture out of my comfort zone. It was really fun! I wanted this design board to surprise you, not your typical response. My first thought was to pair it with a really romantic duvet, ruffles everywhere, florals, antique crystal chandeliers, tassels and silks. But it started to feel a bit to expected. Theme room if you must. I thought it would be fun to make some bold choices, bright patterned bedding, rustic wood dressers, vintage inspired marquee lighting. An unexpected light, and a funky vibe. The headboard is still very romantic, the sheets are a classic white with an unexpected girly ruffle, but no so stuffy. Is this too crazy for your tastes? Could you live in a room like this? This definitely isn’t too crazy for me, Brooke! That light fixture is fit for a queen, and I love the mix of rustic, industrial and refined- anything but typical! Is this the headboard you’d pick to design a room around or would you opt for one of the other headboard options? I’d love to know which one catches your eye. P.S. Want to partake in an upcoming Designer Challenge? Shoot me an email. I love the mix of elegant and rustic! I so need that lighted &!!! I love the option of padded headboards!